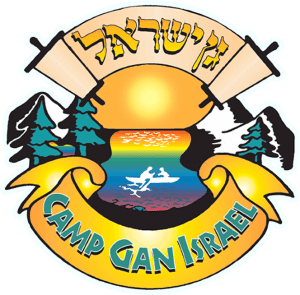 Registration for summer 2019 opens online only on Tuesday January 15 / 9 of shvat, 12:00 pm. Staff applications will accepted online starting on March 15, 2019 / 8 Adar Beis. (Please have a valid passport, as well as travel insurance details on hand, while applying). Looking forward to another amazing, chassidishe summer with our staff and campers. After campers enjoyed their last day of sports, water activities and leagues, our staff had their very own, two part banquet celebration last night. Today is packing and banquet day for all campers! We look forward to the very special camper banquet later this afternoon iyh. Flights – Tuesday August 14 all day! All sections of camp returned to camp late last night after amazing grand trips. Section C spent two days in Montreal with many exciting stops, to Jet boating, lunch on boat, bowling, go karting, and ice skating; meals at restaurants and overnight accommodations in the newly renovated Ramada hotel! As the boys were heard saying this trip was the grand trip of a lifetime! This morning, section C is enjoying some reversed rolls with a day of “topsy turvy” day! The rest of camp enjoyed a great day in six-flags-La- Ronde amusement park. Looking forward to our last Shabbos here in the Rebbe’s camp. Montreal bus: Arriving to the front of Yeshiva on Monday evening August 13 at approximately 9:00 pm-luggage coming on bus together with the campers. NY bus Arrives to the corner of President and Kingston on Tuesday August 14 approximately 8:00 am – luggage arriving a bit earlier and will be unloaded and watched by our staff. Car pickups should be on Monday, August 13 between 5:30 and 6:30 pm iyh. Flights all on Tuesday August 14! Color was ended with an incredible grand sing! Both teams, Geulah Protis, and Geulah Kllolis outdid themselves, with amazing costumes, songs, spirit and decoration! It was an evening to be remembered! This morning, campers had an early start, as they prepare for our grand trip! Buses are rolling nice and early to give us the time to enjoy the Six Flags amusement park to its fullest. Calling day will not happen today as all departments of camp are out enjoying their day bh. Have a great day! Color war continues with two amazing plays performed last night. Today after the songs, skits and speeches are presented, campers will prepare for the highlight – the grand sing! Section C had the annual C-shore barbecue professionally set up in front of our magnificent lake. A delicious barbecue menu was prepared with a terrific program. Following the program, the staff broke out the news of the grand-trip! Campers are packing and preparing for their amazing 2 day trip to Montreal, with a packed schedule of great fun and delicious meals and overnight accommodations! Section C campers are being rewarded for their TBP (Tanya Bal Peh) learned on Shabbos, with a trip to go karting today! BH many have memorized the allotted quota! Lots of excitement this morning with the break out of color war! Campers headed to the shul for the division of teams and staff announcements. Please note: if you would like to send tips to your son’s staff by credit card – to be added to his pay check, the deadline is this Thursday. The same applies to depositing money in your son’s canteen account. Please email [email protected] with the final additions before Thursday August 9, 2018. Sunday turned out to be a day with nonstop entertainment! As staff prepared for the grand outdoor play, campers enjoyed a great day of activities and water sports. After learning classes all sections of camp filed into the shul filling al the bleachers for an amazing Hypnosis show by “Buzz” the entertainer. With silence in the room they watched as the volunteers were slowly relaxed and entertained the crowd with their unknown talents. Following the show, a delicious dinner of burgers and potatoes was enjoyed, and then everyone headed out side for the outdoor play. Under a starry sky, campers enjoyed the staff and head staff illustrate the incredible story of Reb Mendel Futerfas unfold in front of them. The long entertaining production took campers back to the prisons of the KBG in communist Russia, and eventually to freedom. Campers headed to their bunks reviewing and discussing the events of the incredible day behind them! Section C were up bright and early in preparation for a full day trip to six-flags-La-Ronde-amusement-park! Once again, the trip proved to be a great success, as the campers and staff enjoyed the amazing rides the park has to offer, as well enjoying their time together in Great Spirit! Section B+ had a special dance night last night, prepared for them by their devoted staff. A special drink buffet was prepared for them as they danced the night away – in achdus! Another amazing event! This morning, our hardworking staff are off to the neighboring resort of Mont Tremblant for a little time out – to relax and enjoy. Shifts were arranged – as they alternated responsibility here in camp. Looking forward to another amazing Shabbos (Mevorchim) here in the Rebbe’s camp. After a day of sports, activities and learning classes, campers lined up in front of our 770 building for a special Chof Av Rally lead by the learning directors. After hearing stories about Reb Levik and reciting the 12 pesukim, a Minyan for Mincha was held. Following a delicious chicken dinner, all divisions of camp filled the bleachers in the shul for our annual camp concert. The spirit and excitement were amazing! Shlomo Simcha sang as Fitche Bensimon played, while campers and staff danced, and sang along with Great Spirit. Following the concert, section C was treated to a special Hatomim event. All campers who’ve accumulated enough points, by following the routine guideline, joined this event. The zal was fully decorated by the hardworking staff, and the campers enjoyed an amazing program at their special Shnitzel night!